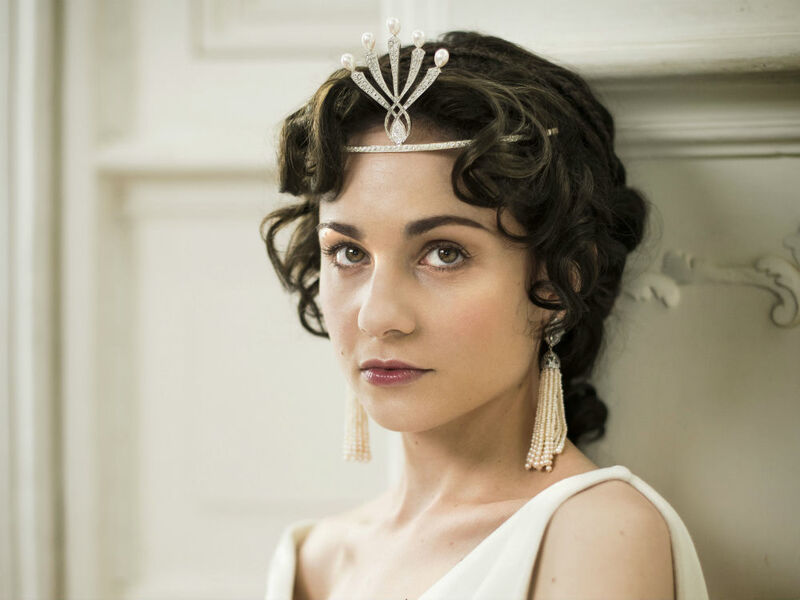 Tuppence Middleton has been busy. With the period drama, War & Peace, just finished (what will we do without Nikolai, Pierre and Helene gracing our screens every Sunday?! ), Dickensian still currently airing and T-Middy (yes, we’ve just coined that) debuting her newly dyed bleach blonde hair last night, she’s having a bit of a moment. I tried to read War And Peace three years ago and I only got about a third of the way through before life sort of took over. Then I had two or three months before I started filming the TV series, so I managed to read the book just before. I actually went to Brussels over the New Year by myself and sat in a hotel room just to make sure I finished it. I really liked the idea of playing Helene in the show. This woman is a master manipulator. She’s quite often portrayed as the villain, but I didn’t want to look at her in that way. For the time, Helene was very forward-thinking and liberated, especially sexually. She knew how to social climb. Paul Dano [who plays Pierre Bezukhov in War And Peace] is just brilliant. I am a huge admirer of his work. It’s so much easier when you act with someone who is that talented. It makes you up your game, and by default, you become a bit better. Callum Turner, who plays my brother, was pretty mischievous on set. I think he’s going to be a massive film star. I was kind of anxious with the casting of the show. I won my role relatively early and as I kept seeing people’s names pop up for other parts I felt like they’d made some kind of mistake! [When rehearsals start], it’s always like the first day of school. You never stop getting nervous. I acted as a hobby when I was a child, but wasn’t initially very good at it. I always thought, ‘Well, I like doing this, but good luck making a career out of it,’ but the more I did it, the more I loved acting. I’m still a bit amazed that I’ve managed to make this my career. As an actor, when you finish a job, you think, ‘That’s it, I’ve had a good innings!’ Now, if I speak to people who want to act, I say, ‘Don’t give yourself a back-up.’ If I had gone to university, I wouldn’t be doing this job now. Having that pressure and no other option just made me work that much harder for it, because you have no other choice. I would love to work into my eighties. I don’t want to be someone who only does a couple of big films and then is famous for just 15 minutes. It’s important as an actor to not just work when you’re young [but when you’re older, too], because there is so much to explore. It’s sad that so many people feel they need to alter their image. I think there is something really beautiful about ageing naturally. That way, you’re representative of whatever age you are at the time and you have that voice as an actor. On my days off, I like to see friends and family or go to the cinema on my own. I live by myself and can easily spend weeks alone before realising I’ve not spoken to anyone. I then think, ‘Oh God, I should go and be social now!’ I can go out for dinner and have a really nice evening in my own company. Dickensian is on BBC1 on Thursdays at 8pm.